"I am proud of my D-, now I'm doing Masters and I will be in the ballot box." Says Hassan Joho. - Bana Kenya News, Real African Network Tubanane. Home featured Mombasa "I am proud of my D-, now I'm doing Masters and I will be in the ballot box." Says Hassan Joho. "I am proud of my D-, now I'm doing Masters and I will be in the ballot box." Says Hassan Joho. The Mombasa Governor Ali Hassan Joho has answered all the answers that the Jubilee supporters wanted as claimed. The Governor narrated a story of how he started from primary school to date with references. Accompanied by his school mates and the former Serani secondary Principal at his county offices, the Governor outlines what the Jubilee government wants at the coast as they tried to bribe him last year. The Governor shocked the people who were present by telling them about the first Job he did as he was attending school with his brother Abu Joho. 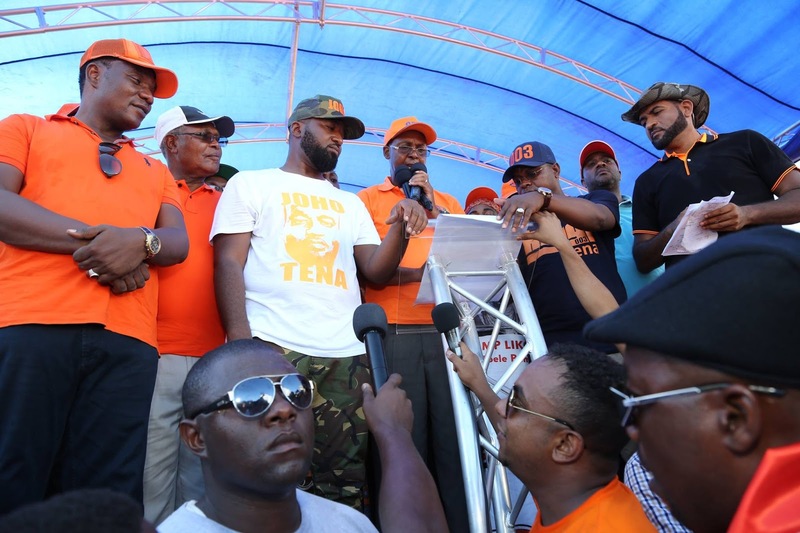 He rubbished claims that the ODM was seeking to get a new Gubernatorial aspirant in Mombasa and said he will be in the race. The people of Mombasa will determine their governor in the polls.